In the present age of the Anthropocene, the extraordinary transformations of Earth’s climate are changing the biophysical conditions involved in global food production, emerging epidemics and natural disasters. There is growing concern that global environmental change will have significant adverse impacts on global patterns of disease and mortality over the next century. Responses to recent calls for a ‘critical medical humanities’ have engaged structural issues of race, gender, and class, articulating the need for social justice and health advocacy within medicine. The challenges posed by environmental transformations and climate disruptions offer different directions for medical humanities scholars to explore. Drawing on this momentum, “Medical Humanities, Social Sciences, and the Environment” will focus on how the humanities can inform our response to the growing concerns about health and the changing global environment. Our aim is to expand the scope of the medical humanities beyond its traditional focus on patient and doctor experiences to include planetary imaginaries grounded in the political realities of health and medicine. 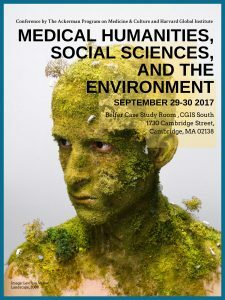 We invite scholars to consider ways the medical humanities can respond to the challenges of environmental change and uncertainty in order to engage more fully the ecologies of health, disease, and nature.